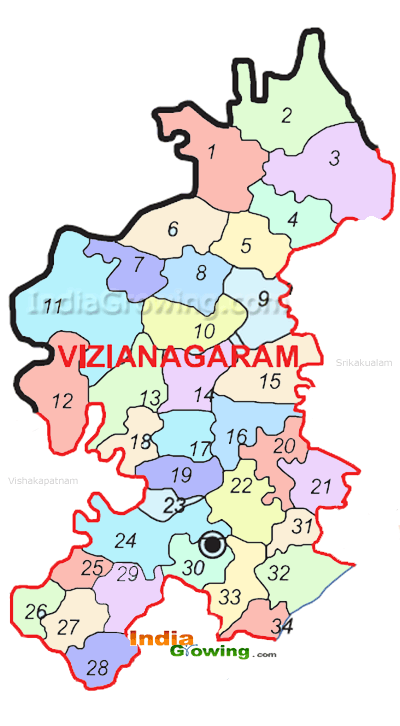 The Nearest Airport to Vizianagaram is Visakhapatnam Airport.The Collectorate office for this district is Vizianagaram Collectorate, and other popular district head offices are District Library, District Industries Centre, The nearby Fire service for this district is Fire Office.The Head Post office for this district is in Head Post Office. and the Railway Station is Vizianagaram (station). gutchimi village is one of the best village in seethanagaram mandalam because in this village environmental is very nice and all the peoples are share our problems and bus roads and railway station is very near to the this village. in this village youth very good boys. they are solve the any problems and finally this is my village. but there is water problem. please solve this problem. I belongs to this village. This vill is adjacent to Teh Garugubilli. Since three yrs this village is under development and the youth of this vill support the politicians to do more on improving the arboriculture for greeny model village. May our hopes to make this vill as Best of our Mandal.